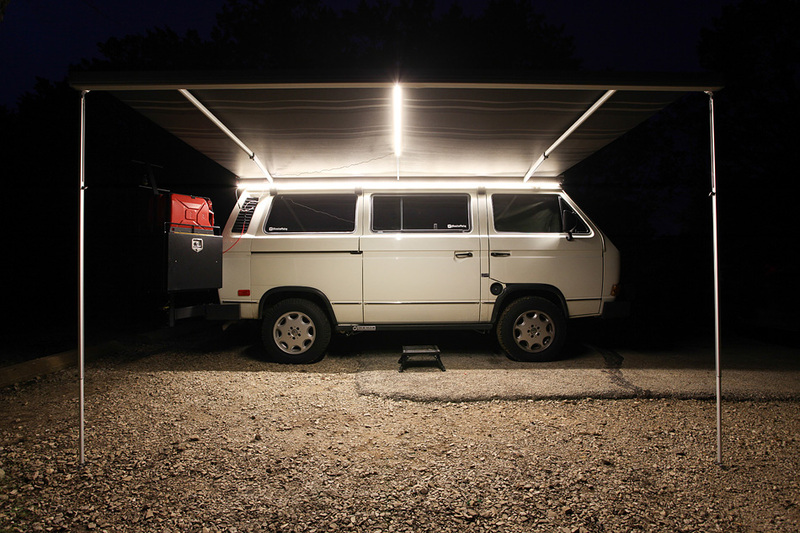 Ever since I installed my Fiamma 11′-6″ F45 Awning I’ve been looking for a good LED lighting solution. I wasn’t too pleased at the look of, or the cost of the legit Fiamma LED lighting kit they sell so I decided to make my own. It’s really very easy to do so hopefully with the help of this article you’ll be able to make your own as well. 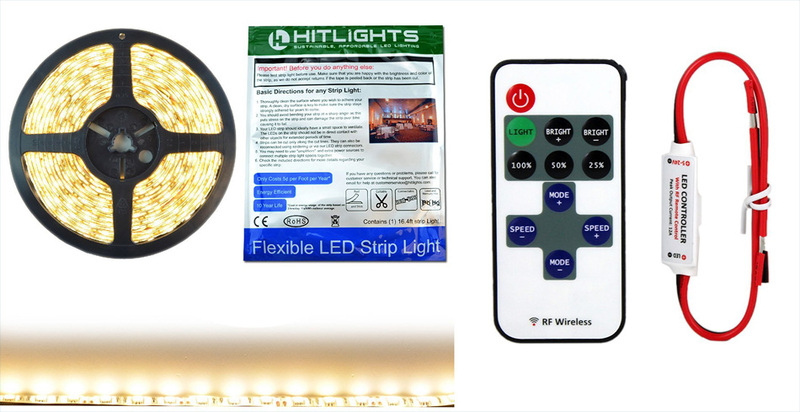 The items I used are listed below and there are cheaper versions of these LEDs available online as well but for the record I was looking for a brighter High Density option. Others I came across were not as bright as these. Knowing I would have a way to adjust their brightness I wanted the brightest I could get. 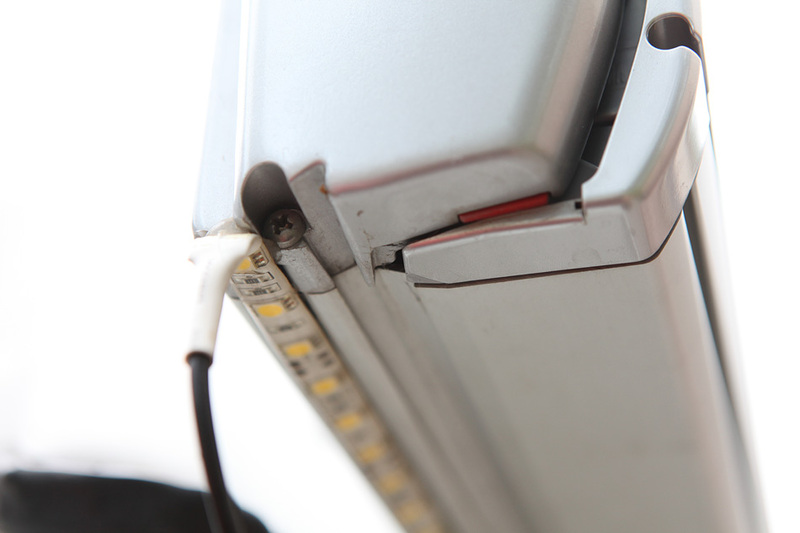 I have seen other users install LED lighting inside the casing of the awning. This is one thing I did not want to do as I wanted to be able to use the lighting with or without the awning being open. I elected to mount it on the bottom of the casing itself. 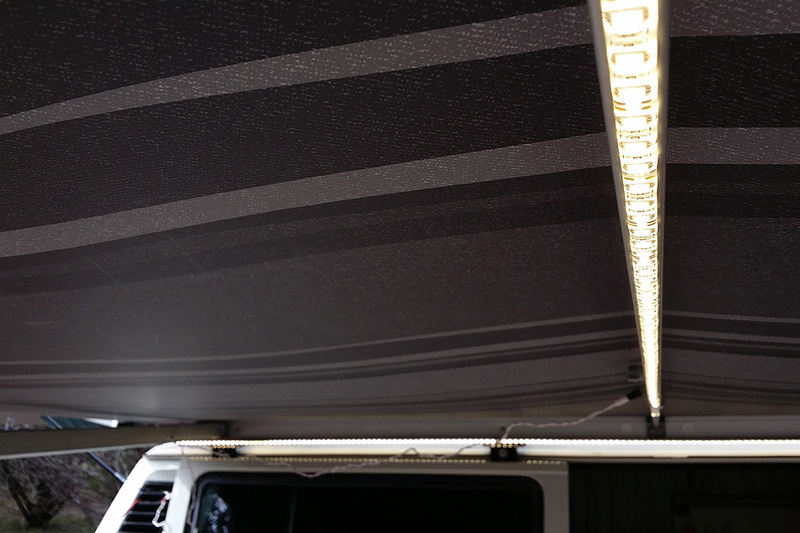 My awning was already mounted to my Vanagon at the time of this install. 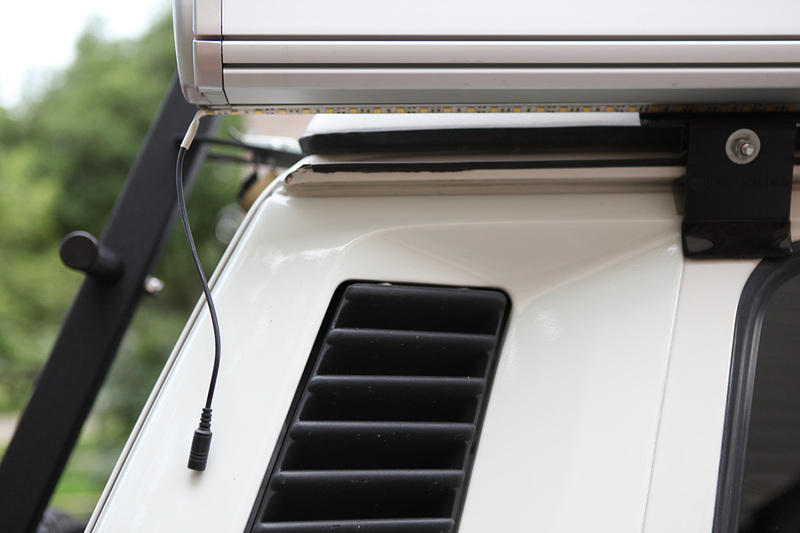 If you’re installing LED lighting on the awning prior to mounting it on your van, then your job will be a little easier. The adhesive backing on the LED light is horrible. Plain and simple. If you purchase the set I’ve listed or source your own set, chances are you too will notice the adhesive is less than sufficient. After having my LED’s fall off my casing I decided to use some Permatex RTV Silicone in order to hold the LED strip in place. So remove whatever adhesive backing that comes with your LEDs and mount it with RTV Silicone. You won’t regret it. The LED strip comes in a length of about 16′ with cutlines marked every few inches so you can customize the length. 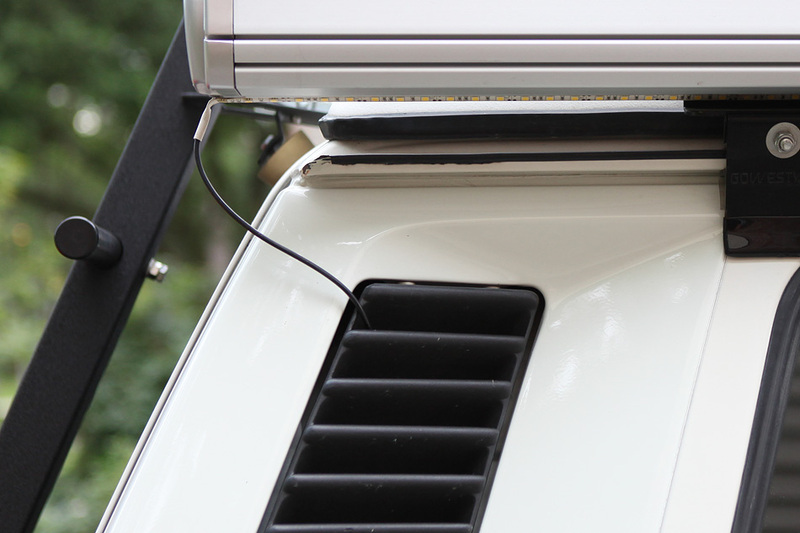 Once you’ve trimmed your LED strip to fit the length of your awning case, remove the provided adhesive backing completely. I added a small bead of RTV Silicone along the bottom of the casing where I wanted the LEDs to mount. Starting from the front of the van working my way back to the rear of the van. I placed the end I cut at the front of the van and used some blue painter’s tape wrapped around the awning case in order to hold the LED strip in place until the RTV Silicone Adhesive cured. I place about a foot of LED strip at a time adding more blue painter’s tape in order to hold the LED strip snuggly in place. Don’t be stingy with the blue painter’s tape as the more you add the better the finished product will be. If you’ve measured correctly you should end up with the provided LED pigtail at the rear of the van. Add a little more RTV Silicone Adhesive to this last inch or so as it will have a bit more stress on it here since it’s where your main power leads will mate up. You can opt to remove the pigtail connector and add your own water proof one at this point if you like. I chose to leave it as is. I added a similar male connector to my Ancor 18AWG wiring and after making this connection I covered the connection with some Ancor Heatshrink Tubing. This Ancor Heatshrink Tubing is marine grade which means its used in order to create water tight seals for wiring. It has an inner rubber liner that melts itself to the wiring and the tubing creating a nice water tight seal to protect the wire within. I’ve been very pleased with all Ancor products so far. Running the wire leads from the LED lights to its power source is easy. Simply drop the wire down behind the rear side vents, remove the passenger side taillight so its easier for you to route the wire into the engine bay. I chose to install my Lerway RF Wireless Remote receiver in the engine bay area. It’s easy to get to in case I need to troubleshoot something down the road. Also seeing how the RF receiver is not water proof I didn’t want it completely exposed to the elements. I just connected it using some inline splice connectors in order to add the RF receiver inline between the power source and the LED lights. Easy. This RF remote is a MUST HAVE for any LED lighting option you choose. It’s just awesome to have. How you supply power to your LED lights is your choice, what I chose to do is route my wiring through the engine bay just behind the license plate area, ziptieing it to the hard plastic vacuum line. I ran the wire over to the driver’s side of the van and I snaked the wire up through the grommet where my AC hoses penetrate the van and route into the cabin. 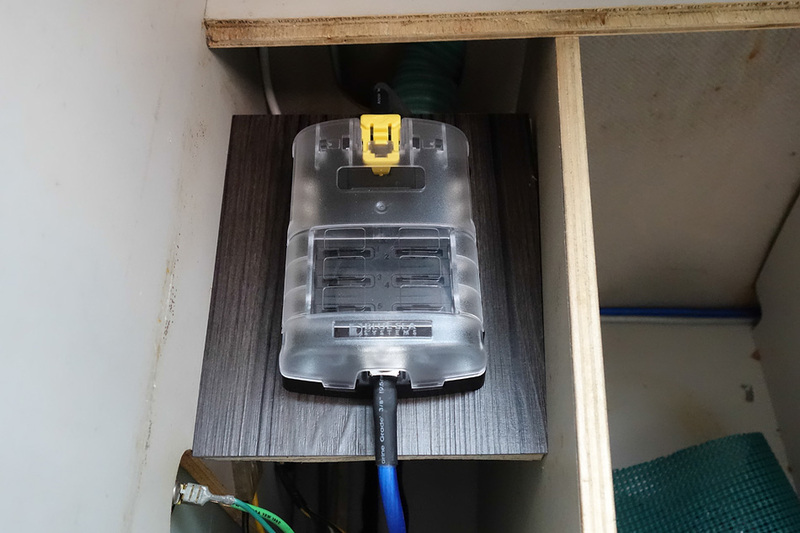 I continued my wires under my rear cabinet, through the cabinet where my water tank is and into a voided are where I have a Blue Sea Distribution Block installed. You can see the install for the Blue Sea Block HERE. As I mentioned earlier one of the reasons I chose to install my LED lighting under the awning case as opposed to inside the case is so that I can still light up my surroundings a bit with the awning closed. This comes in very handy when you arrive at camp late in the evening and plan to be there just for the night and have to move on the next day. You can just light your area and cook dinner and hang out with the press of a button. Here is a quick video if me cycling through the options on the LED RF Remote. On > Off > On > 100% (no change) > 50% > 25% > Brightness -1 > Brightness -1 > Brightness -1 > Brightness -1 > 100% > Off. There’s even flashing modes but unless you want to induce seizures I’d steer clear of those. hehe. You can even use some of the left over LED strip to mount onto the awning rafter but I myself have found it very unnecessary since the amount of light that comes from the single high density LED strip is plenty. I would have rather used this left over portion inside the van. That would have been way better. Hehe. If you chose to add lighting to the rafter as show here you’ll have to get a bit creative on how you power it. It’ll involve having to plug it up everytime you install the rafter. I wanted something a bit more fixed and permanent. The quicker I can set up camp the better! Nice job! I haven’t considered doing the awning (yet! 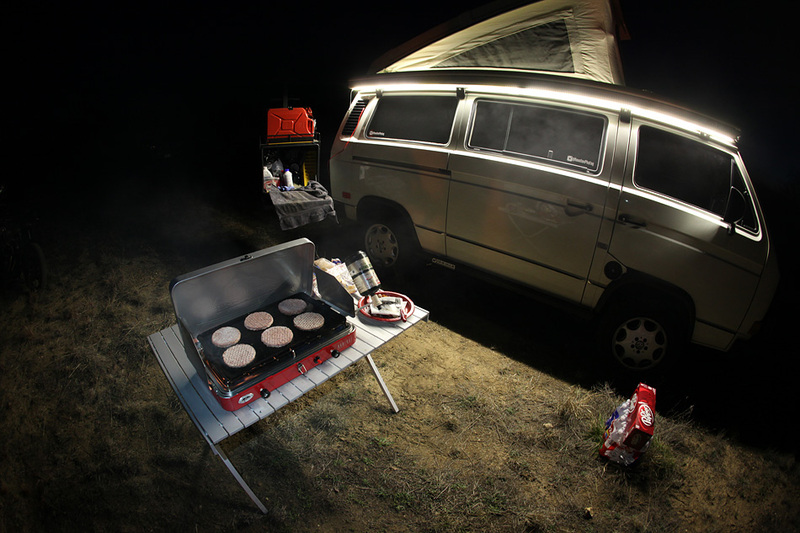 ), but used the same led strips and remote controller to run LED lights from front to back along the bottoms of the passenger and driver side duct housings in my Westy’s camper area. It only took about $25 bucks (and 3-4 hrs of work!) to have an interior that can adjust from bright as daylight to a dim glow, or strobing to rock the Casbah! Still got about 10 ft of LEDs left! What to do next…? Thank you for this post Abel! 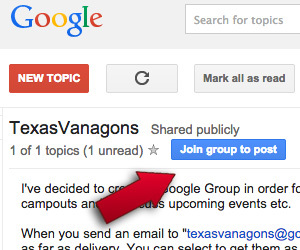 Every time I see it I always have to screen shot it on the forums and now I don’t need to keep up with them. Great work and thanks for all you do , veedub on. Thanks Sarah! I’ll see you at Busfest I hope! I’m thinking of doing something similar on our awning. 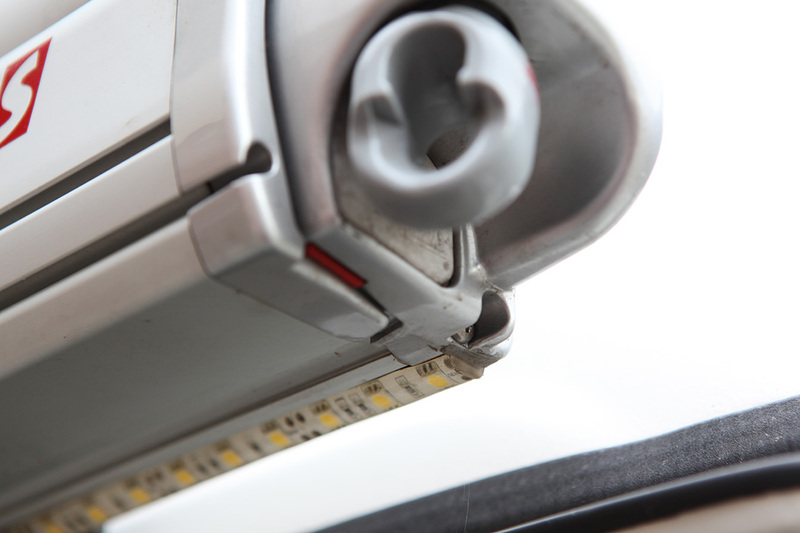 Do you know if the dimmer has a constant draw on your battery? I’ve read that some have a higher than expected draw. 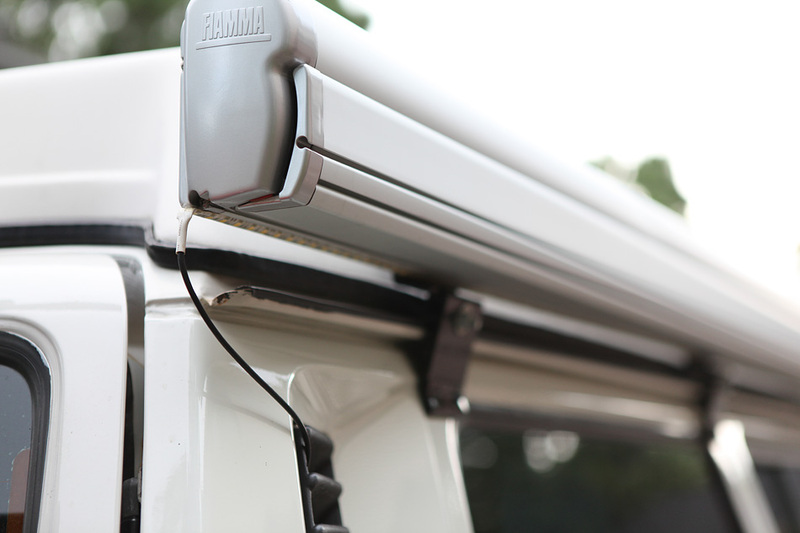 I was about to order the fiamma kit for the awning on my pop-top Mercedes sprinter: now I will just do as you did. 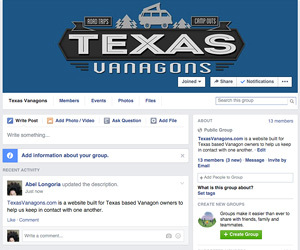 I am going to do this on my fiamma awning in my Mercedes sprinter pop-top! I am totally inspired by your lighting project! Thanks so such for the super work, and the awesome writeup. I had a question, if this is the spot to do such a thing: I can’t tell, but it looks as if you have a little more length than just one roll, and I was reading the info in the LED Controller instructions, which state a 6 Amp ‘peak’. So, 4 watts a foot, at 12 Volts… Math says each foot takes roughly 1/3 of an Amp. makes each 16.4 foot roll take up somewhere close to 5.5 Amps. Just wanted to ask if you have had any issues? I was just looking, and considering use of a relay. It would defeat the brightness control tho, I think. I plan to use two or three rolls on my project. Hey there thanks… As of now I only run the leds on the awning case. Which is about 10-11ft. Im running a 5amp fuse on them so it’s pulling about 4-4.5 amps as is… I bought a heavy duty dial dimmer switch that’s rated up to 8 amps. The dial dimmer sounds good! Thanks! I have had good success on the first roll of lights. I originally got two rolls, but sent one back due to a bad LED right out of the package. The good strip was pretty easy to get the adhesive backing off of, as suggested in the write-up. I just pulled it up like tape. Then I cleaned the back with goof-off, and the whole roll was ready to go. The replacement roll just arrived today, actually, I got two additional rolls and I am glad that I did, since one roll has 3 defective lights in a row that are bad. Will have to again ship that back, which is getting tiresome. I started trying to get the tape adhesive off the good roll as I had before, only this time the adhesive is sticking to the back much more strongly. I am not sure if they got feedback and changed the adhesive, or what, but I just wanted to put in a note here that it seems to be 5 times harder to get if off this time. If you could, would you please let me in on how you removed your sticky tape adhesive which you took of and then used RTV instead? I’d really appreciate your input.